Originally from Germany, Sonja has been working since 2002 as research scientist in quantitative genetics/animal genetics and breeding. 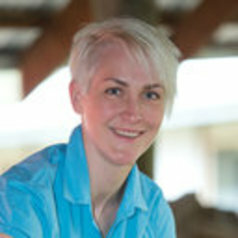 Sonja has been works across species in breeding program design for livestock and aquaculture with a focus on integrating novel technologies and traits. Her passion is in applied genetics and she enjoys most the opportunity to collaborate, connect and interact with key stakeholder of the livestock and aquaculture industries as part of her research.